The glamorous village of Portofino near Genoa, following the fierce winds and rains which devastated tourist icons in Italy in the last few weeks, is now only reachable by sea, after the main road collapsed. Following the event, the ferry ICHNUSA owned by BN Sarnav (joint venture controlled by BluNavy and participated by Delcomar) has just been deployed for two spot connections from the port of Genoa to Portofino and back for the transport of trucks and cars. Ichnusa is normally deployed between Sardinia (Santa Teresa Gallura) and Corsica islands (Bonifacio) during the summer months. 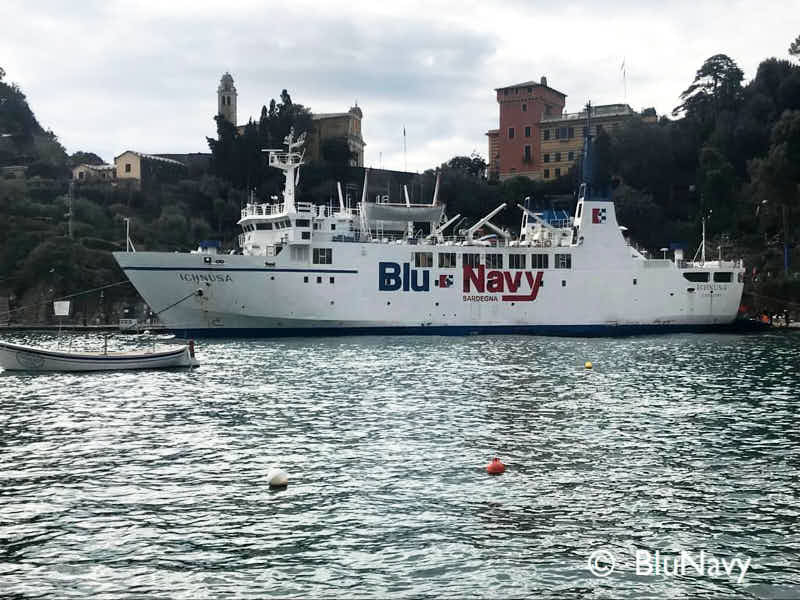 Aldo Negri, head of BluNavy, said: “After the first two voyages performed during the emergency phase, we are now talking with the Municipality of Portofino in order to understand whether a regular maritime connection with Portofino would be viable and economically sustainable”.